With its comfortable body and distinctive voice, the M-140E provides excellent balance and a delicate tone. 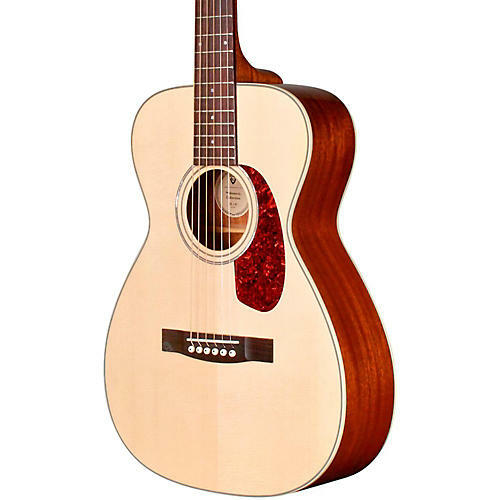 Featuring a solid Sitka spruce top and solid African mahogany back and sides, the M-140E' 24-¾ scale length, vintage shaped Guild neck, and 1¾ nut width make this concert size guitar easy to play. The M-140E includes Guild' new lightweight polyfoam case and is available in Natural gloss finish.